The Sangaré family were lucky they were found. Said Sangaré, his wife Fatumata and their infant-son Mohamed had been deported to the desert across the Algeria-Niger border region – like many other migrants. The Guinean family were left without water to drink or anything to eat, having to withstand temperatures well above 40 degrees Celsius. They only managed to survive because they were found by the International Organization for Migrants (IOM). 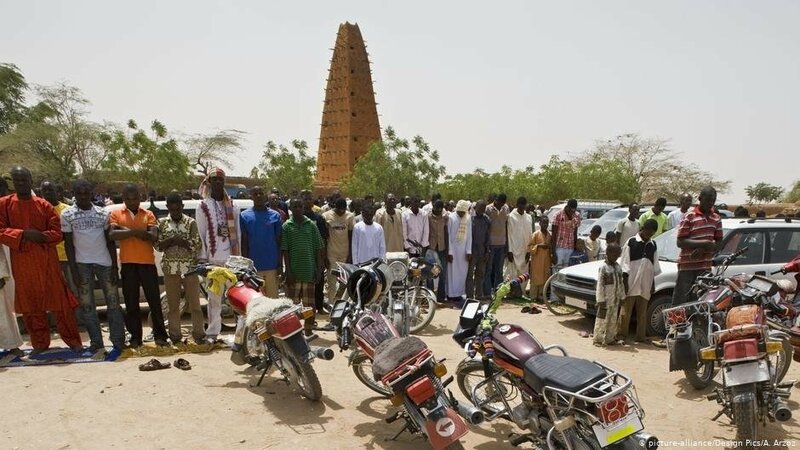 The IOM team took them to a transit center in Agadez, Niger's largest city. This was three years ago. Many others weren't as fortunate. Said Sangaré still remembers the traumatic experiences he and his family were subjected to vividly. He told the EPD news agency that one day while he was at work at a construction site in Algiers, authorities came unannounced to their house and arrested his wife Fatumata along with his then-seven-month-old son. The 32-year-old recalls that the police kicked in the door, raided the place and stole nearly everything they owned at that time. Fatumata Sangaré says that all that was left to them was the clothes they wore that day; the 26-year-old woman says she wasn't even allowed to gather any belongings to take with them. "Mohamed wasn't even wearing any trousers, just a t-shirt and his nappies," Fatumata Sagaré said, highlighting that this is how she was forced to leave her home. Soon thereafter, the authorities came to pick up Said Sangaré at the construction site where he was employed at the time. "They took everything we owned," he told EPD, including the money he had saved during the three years he and his family lived in Algeria, totaling almost €5,000. "My plan was to start a new life with those funds in our home country." 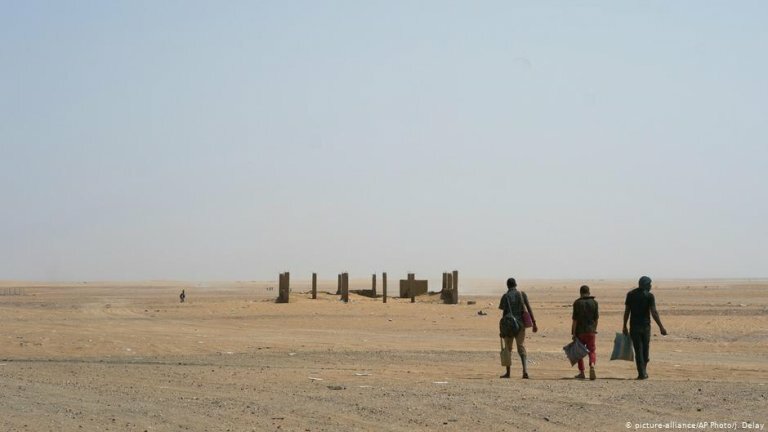 The Sangaré family was then taken to the southern Algerian city of Tamanrasset along with other migrants, where Said says they were robbed by the authorities once again. Some of the migrants traveling with them were also brutally beaten by the local gendarmerie, Said Sangaré added. He said that everyone was then dropped off at the so-called "Point Zero" – a border post along the Nigerien border, without any food or water to survive. From there, the migrants were told to march into Niger – reportedly at gunpoint. The nearest human settlement, Assamaka, lies about 15 kilometers (nine miles) south of there. But under the scorching desert heat, many migrants don't make the journey to the village. Liberian migrant Janet Kamara, who was also deported from Algeria, told The Associated Press (AP) in June 2018 that "women were lying dead, men. ... Other people went missing in the desert because they didn't know the way. I lost my son, my child." "There were people who couldn't take it. They sat down and we left them. They were suffering too much," Aliou Kande, an 18-year-old migrant from Senegal, also told AP. UN Special Rapporteur on the human rights of migrants, Felipe González Morales, criticized Algeria's deportation practices in a public mission statement, saying that these "collective expulsions from Algeria to Niger are in utter violation of international law, including the fundamental principle of non-refoulement and due process guarantees, and must stop immediately." 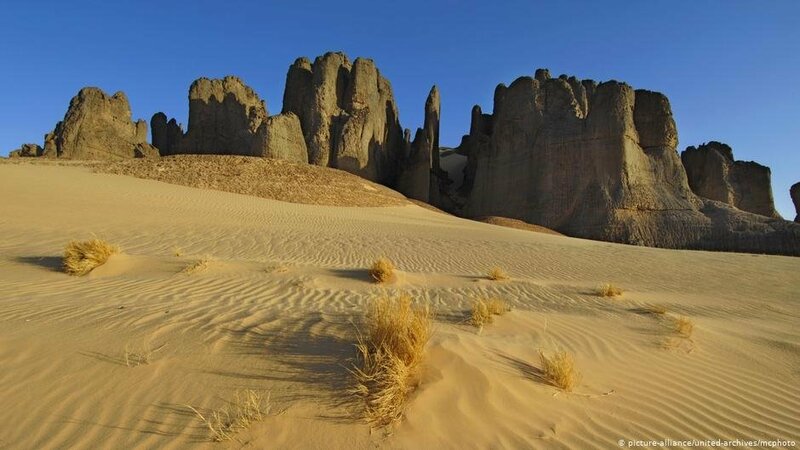 The IOM has meanwhile set up a presence in Assamaka in response to Algeria's treatment of migrants; It is not unusual for its facilities to have to receive over a thousand migrants at a time as they trek across the desert. The UN migration body says that it has been aware of the Algerian practice of sub-Saharan African migrants being deported to the Nigerien desert since September 2017, adding that there are certain racist undertones involved. When the policy of deporting migrants was adopted, Algerian foreign minister Abdelkader Messahel referred to sub-Saharan migrants in his country as a "threat to domestic security" and a "plague." The minister also justified his actions by saying that the deportation of migrants was practiced in many countries, "including European nations." Said Sangaré agrees that there is plenty of racism directed at refugees and migrants in Algeria: "Children used to throw rocks at us in the streets of the capital (Algiers) on the way to or from work. This has made me hate the idea of going to work ever anywhere again." Since Algeria started to clamp down on illegal immigrants in 2017, a reported 25,000 people were deported to Niger in 2018 alone – including African migrant workers with valid work visas and refugees who had been granted protection by the Algerian authorities. 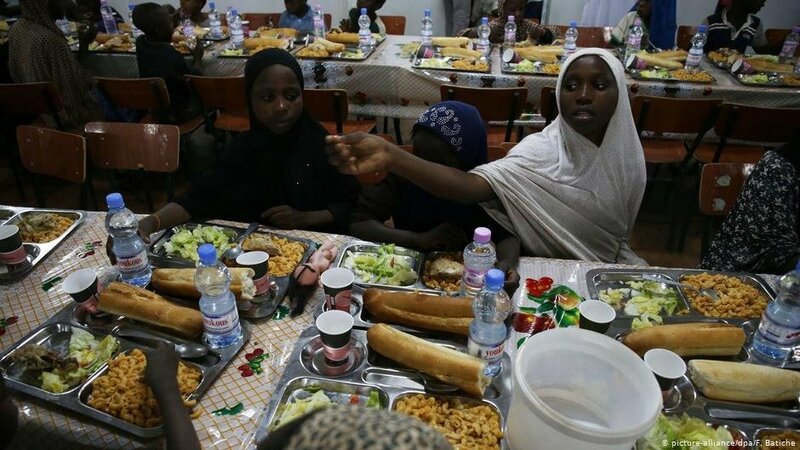 Many of them are now stuck in Niger, depending on assistance from the IOM to return to their home countries. The IOM says that in 2018 alone, 15,000 such deportees needed the IOM's help to return to their home countries. In 2015, that number was ten times smaller. According to AP, the majority of migrants deported to Niger come from Mali, the Gambia, Guinea, and the Ivory Coast. 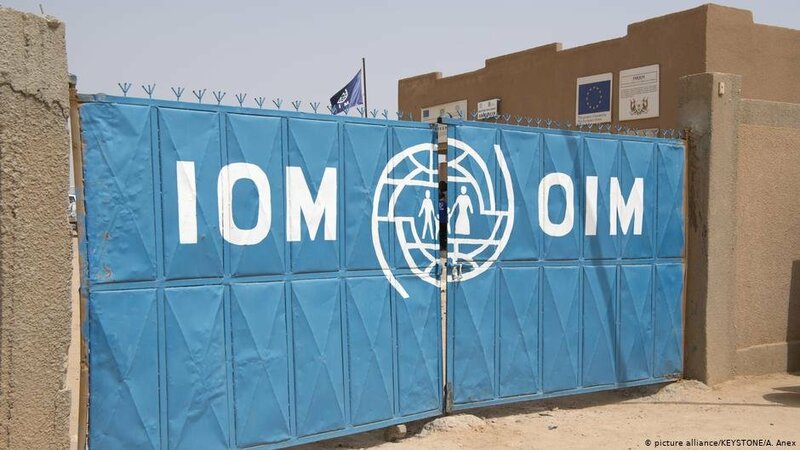 In addition dealing with deportees from Algeria, the IOM in Niger is also having to address the needs of migrants deported from Libya, many of whom have reported suffering inhumane conditions while interred in migrant camps in Libya. 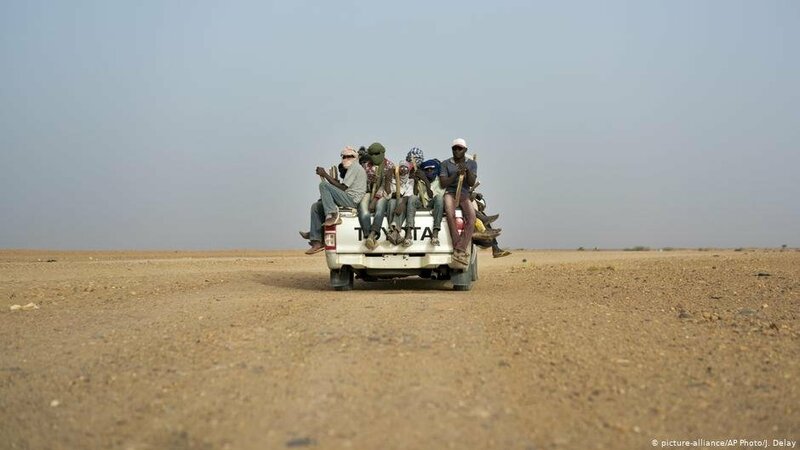 "You could say that the EU has succeeded with its plans to limit the flow of migrants to northern Africa," Martin Wyss, head of the IOM in Niger, told the EPD news agency. "But that has created a lot more work for the IOM, as many people who now wish to return home from these places in northern Africa really rely on our help to get back."